I’ve always wanted to live in a shack by the sea and now I do. I’m writing and sleeping in an off-grid cabin, surrounded by trees, on a mango, papaya and coffee farm. I’m in Hawaii I have nothing to complain about. Here’s what I do every day, awaken to birds serenading me after hearing ocean waves crashing in the distance all night long. Walk 50 feet or 20 meters to our community kitchen, make a fresh cup of Kona coffee, (I’m in the center of the finest coffee bean estates in the world) and then walk 30 meters (90 ft) to see the Pacific Ocean outside my door. After deciding yes, the waves are calm enough I get into my bikini and go see if the wild dolphins have turned up to swim in Kealakekua Bay here on the Big Island. They birth and nurse their babies right down the street. My hut gets wifi but I can’t clearly connect with Skype. Oh well. Gotta get in the car to go Skype. Same as India. I had to walk by the Ganges River avoiding cow flops to get to skype there at night. But without the cow shits. It’s clean and pristine here. If you really wanted to live off the land here on the Big Island without cash you could. But I like to eat yogurt with fresh papayas in the morning and macadamia nuts sprinkled on top so I’m shooting, writing, and leading retreats here in paradise. My work is my play. Join us to swim with wild dolphins in July with me. Check it out here. Sure, you can spend a fortune living in Hawaii but if you want to hear ocean waves crashing every night, and live simply then you too can live in an off grid cabin. But you have to be on the island to get it so farmers and owners can check you out. You can find care taking jobs, house-sitting gigs, or for about 15 thousand $ you can move here and get a car and apartment but you know it’s also fun to drop out of the sky and see if this will all work — living off-grid and finding out if the communal thing is a yes. My four walls are my own. No one above me but tree limbs and they did have to be cut back. It sounded like a horror movie in here every night. Couldn’t sleep a wink with clawing tree limbs on my roof. But with dolphins for neighbors and birds singing all day what more could you want? Write me at [email protected] or comment below and discover life in Hawaii – stay tuned for more. 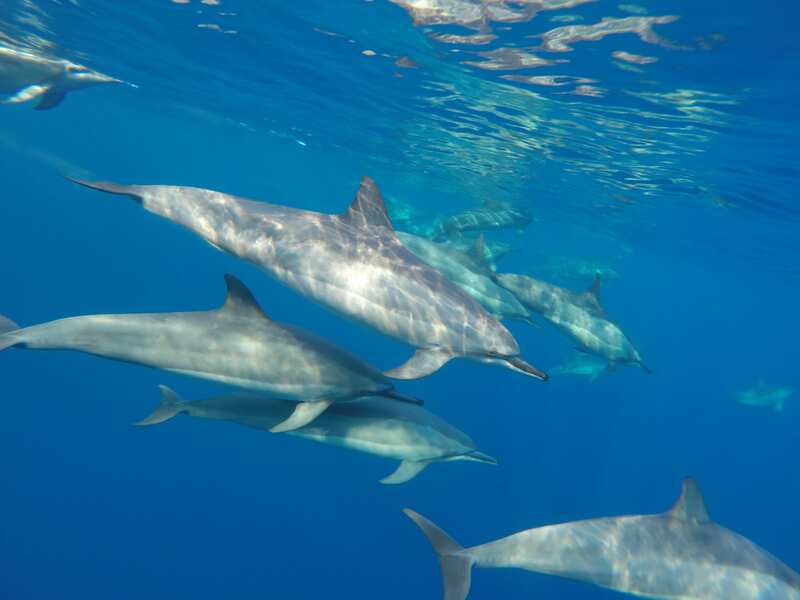 And You’ll Swim with Wild Dolphins on the Big Island of Hawaii on Kealakekua Bay. Join us on the Big Island of Hawaii for a once in a lifetime experience. Or come and live here, that’s what I did. 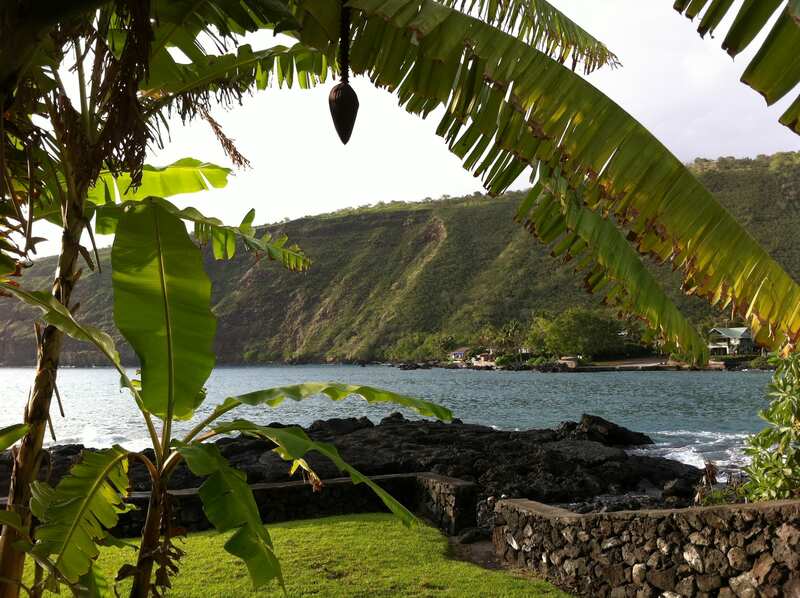 Rest, walk, or swim in the most glorious mystical bay in the world, Kealakekua Bay… where sea turtles, dolphins, and whales live on the Big Island of Hawaii! I’m offering this incredible opportunity to only 6 people to make sure your experience is unlike any other. 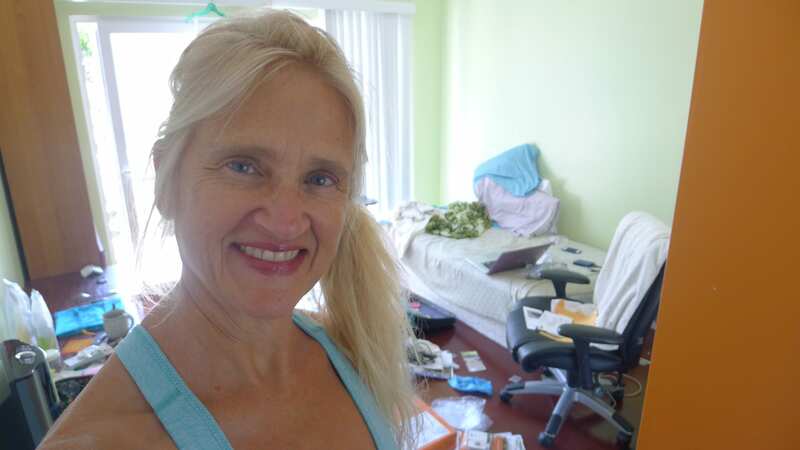 Being the founder of a thriving photography business for 27 years you’ll get the benefit of my expertise of shooting in Silicon Valley, secrets I learned photographing angel investors, family portraits, babies, 722 weddings in Palo Alto down the street from Steve Jobs, and in my 7 years of global travel in 32 countries. And 11 one-woman exhibitions in the Bay Area. I’ve led programs at Apple, Stanford, Intel, University of Hawaii, and worldwide. Here is how to claim your spot before it’s gone. Simply use this contact form to apply. This will be the only 3-day session in 2015 of Wild Dolphins and Photography I lead here on the Big Island so come on down and bring your bathing suit and camera. Doesn’t matter what kind of camera: high end model, point and shoot or phone camera. play and mate. It’s the best show you’ll ever see! Rooms are $75 to $200 per night, if you want to book your own room. There is also camping available at Hookena Beach Park for an ultra low cost sleeping solution. You need to get a camping permit on the Big Island. Manago Hotel has rooms for $40 to $75 per night, basic lodging in Captain Cook above Kealakekua Bay and outstanding pork chops in their restaurant. You can travel all the time, only problem is you have to pack when you move from one country to the next. Yes it takes me many hours to sort thru all my receipts, and prepare for liftoff, here’s what I do. We are just trimming fat here. But lets get to the meat of this, how to pack everything. Well, you can’t take everything. You have to decide to leave things behind. I travel all the time so this is challenging. I can’t fit the blender in my luggage so it stays. What to do with all the papers? Photograph each pesky piece of paper if you have no time to transcribe. Yes you can do it. I just did and got to throw out more paper. So instead of a big piece of paper you have a digital file. Remember you have to carry it all, don’t rely on people to help you. And you have to move fast sometimes even if you have to go to the bathroom right now. No it is not fun to move mountains of luggage when you have a popping full bladder. But your flight is being called right now. My carry-on is heavy with media equipment. Get rid of clothes you don’t wear. Be brutal. Can you really lift that pack? I fell over in Bolivia when I bent down to pet a puppy. My pack took the wind out of me and I was on the sidewalk. Stayed down there a while laughing. And I was sober. If you have things you can’t fit in your luggage, just ship it, I’m on the way to the post office now. It only has to go to the Big Island of Hawaii, and I’m on Oahu. Shouldn’t cost too much. 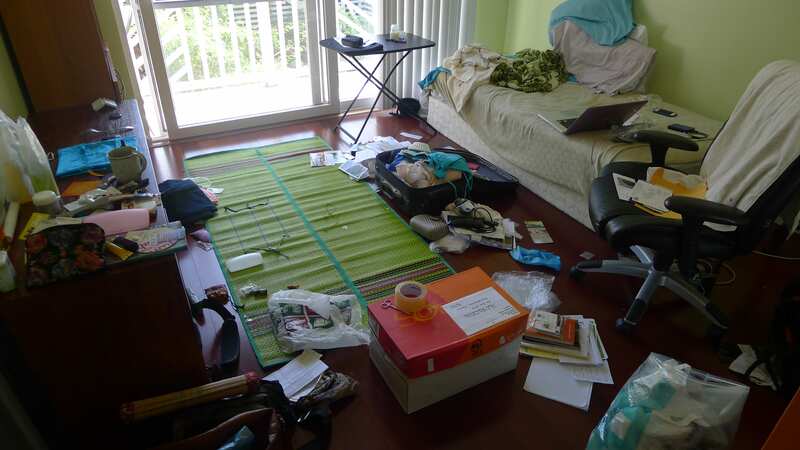 Tell me your packing nightmares or tips on how you cope with it all. Would love to know, we can all learn new advice on getting luggage to the airport, train, bus, boat, or rickshaw.